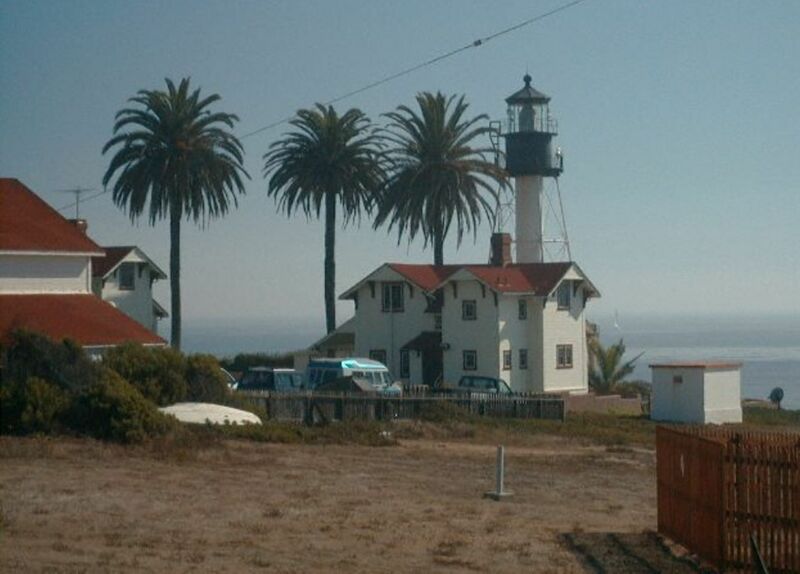 Beacons From the past - Lighthouses of the San Diego area. 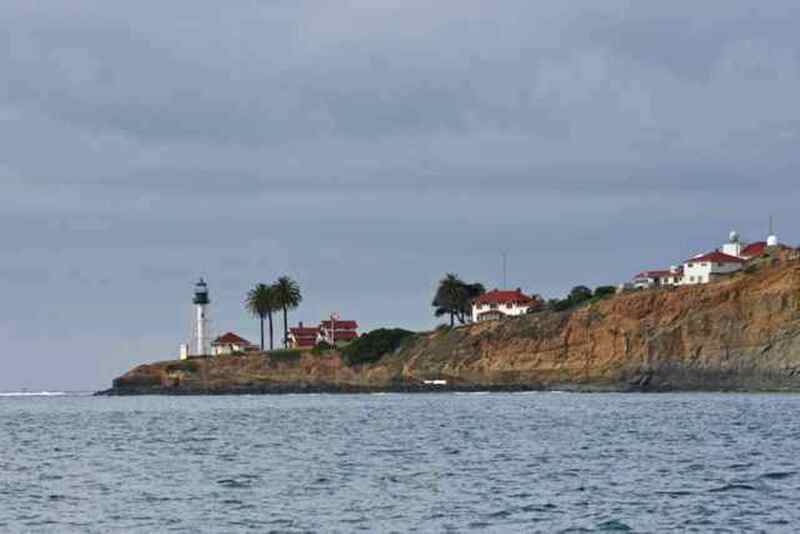 Re: Beacons From the past - Lighthouses of the San Diego area. Here are a few of my old Lighthouse postings! Read all the way to the end of this post. Oh what beautiful pictures you take..makes one want to drop everything and just go. My daughter & husband will be going to York, ME near the Neddick Lighthouse (excuse sp.) this is suppose to be haunted. They had visited before and it is drawing them back as they had a good vacation there. Thank you for posting the pictures and descriptions of them. Thanks Dave, if I ever get a chance to do that I will look up one of the places you mention, the photo looks like the one in my day dreams! Your overnight stay can be done as there are several across the US. This would be my first choice but I will give you a list for all of them. The Heceta Head Keeper’ s House is perched on a cliff with a magnificent view of the Pacific Ocean and the beach below. Paths from the Keeper’ s House lead both to the beach and to the lighthouse. 2011 Bed, Breakfast and Dinner Weekends! March 25-26 Sorry we are to late! April 22-23 Only 1 Room Left! For more about Hecta Head. I have been by it twice over the last 10 years. Would love to take a day and have a picnic on the beach below. What awesome lighthouses. I am with Pat, I would love to live in one for a few days. Dave those are just beautiful photos. It would be fun to stay in a lighthouse for a few days, and relive the times gone by. Thanks for sharing with us. 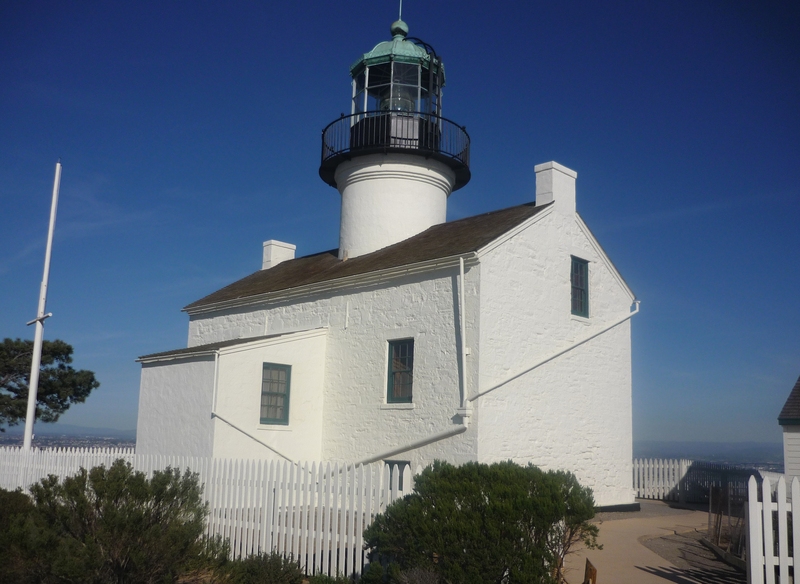 On our trip in January to the San Diego Zoo birthday party I was able to add two new lighthouses to my list that I have visited. 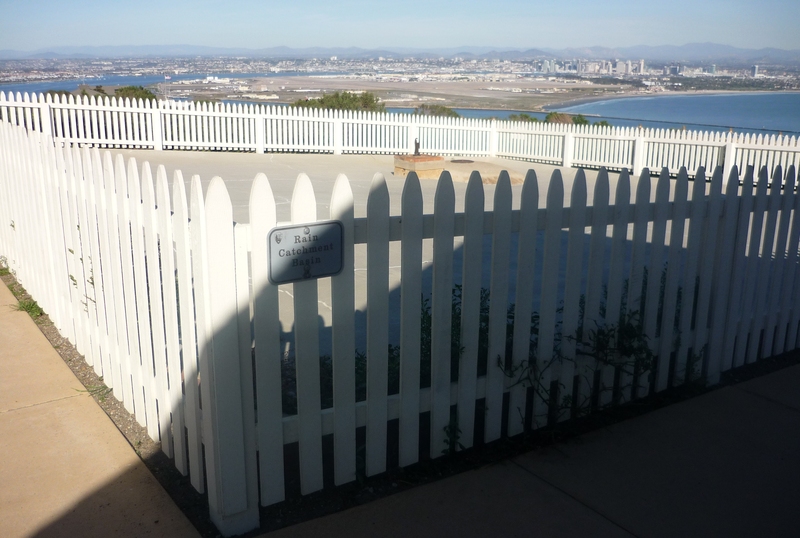 At Old Point Loma Lighthouse the rain basin was the first time I have seen them use this type of water supply. Given the high elevation there was not way to have a well or carry water up the very steep hill. So they had this basin built to collect water for a cistern below it and a hand pump to draw the water from it. 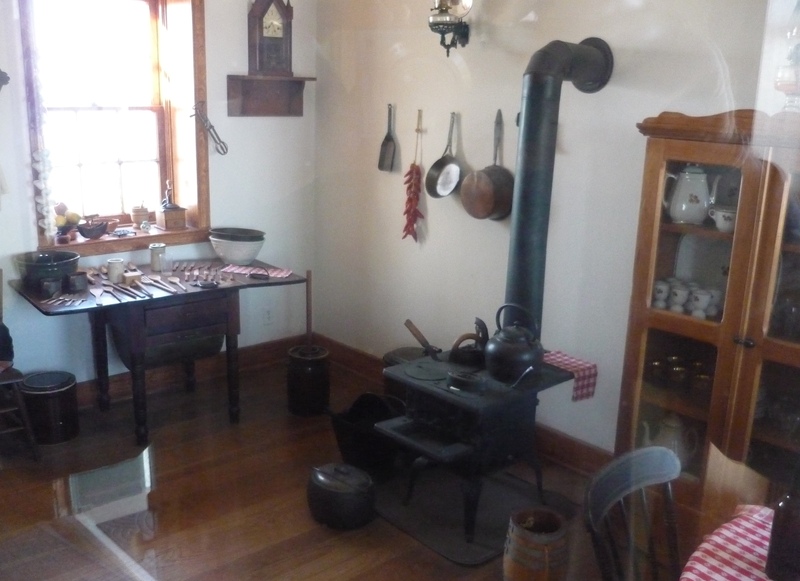 Old Point Loma Lighthouse keeper' s kitchen. 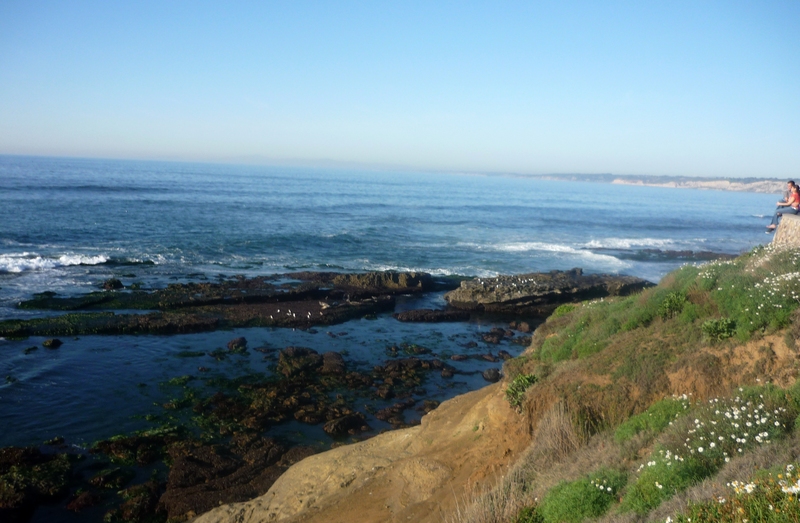 Old Point Loma Lighthouse's view of tide pools at Cabrillo National Monument. This grand lighthouse was short lived as there were to many days that the area's fog blocked the view of the light from the ships that needed it to guide them. 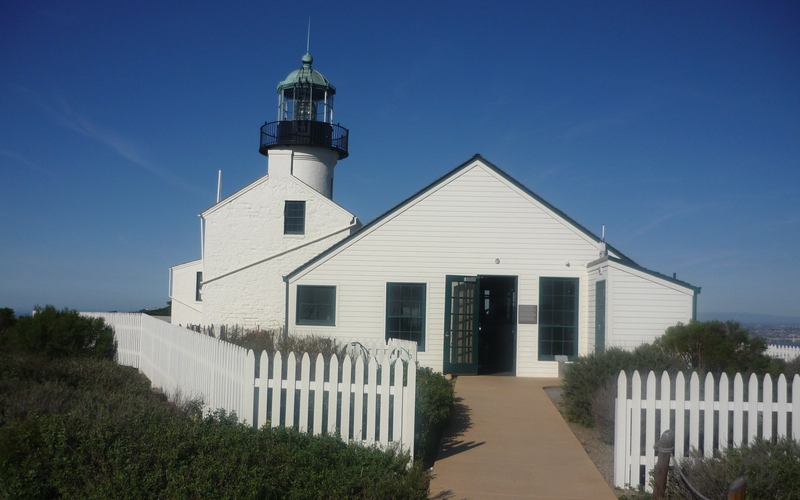 The Old Point Loma Lighthouse was taken out of service after only 36 years - as the heavy fog would often obscure the light. So a new light station was to be build on the very end of the point nearer to the sea level. Bricks and lumber were delivered to the point in September of 1889, and by the following spring, two Victorian cottages, each flanked by its own cistern and privy, along with a concrete foundation for the lighthouse were completed. The tubular lighthouse tower, manufactured by Phoenix Iron Company of Trenton, New Jersey, rolled into San Diego aboard two flatcars of the Southern California Railroad on July 5, 1890. Point Loma Light Station (New) from our Whale Watch cruise out into the Pacific Ocean. 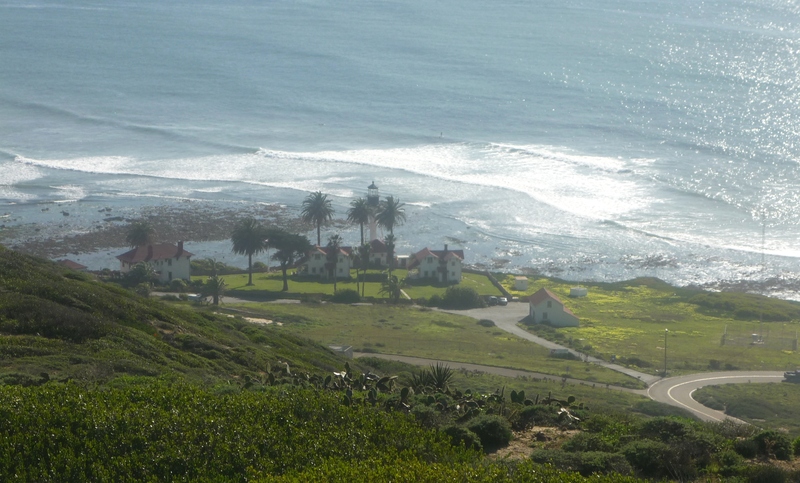 Point Loma Light Station (New) from the hill above. 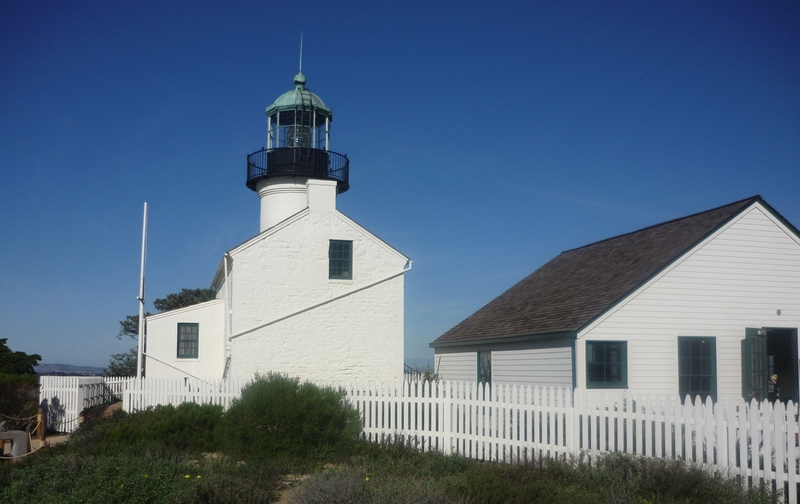 Point Loma Light Station (New) from the front gate. It is closed to the public as it is also a US Coast Guard station.